Whistle stops, plane rides, rallies, handshakes and baby kissin'; rolling along the campaign trail, candidates must stop and recreate every so often. 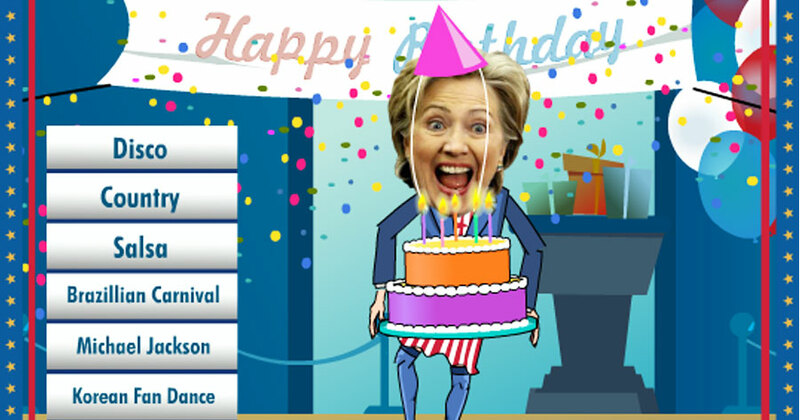 Our secret animaton cameras caught the noble Mrs. Cliton dancing her heart out and we have made the footage into a funny Hillary Clinton birthday ecard just for your friends and family. Her husband was known for his (cough) physical extra-curricular activities, so it's only fair Hillary's become known and appreciated by the general public! So send her around, everyone! Let her dance! Be free! Show your fancy footwork, Mrs. C! She's so free spirited she's dancing in stocking feet (Democratic blue stockings, of course). 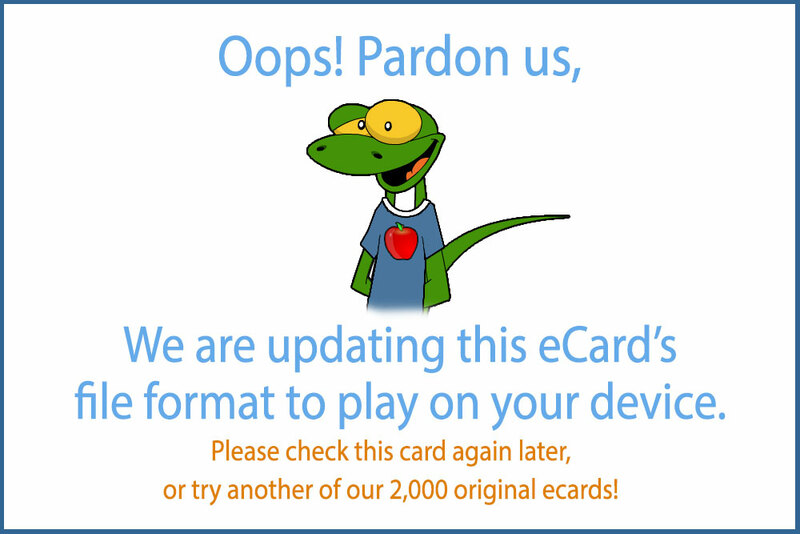 Send this Hillary Clinton birthday ecard today!